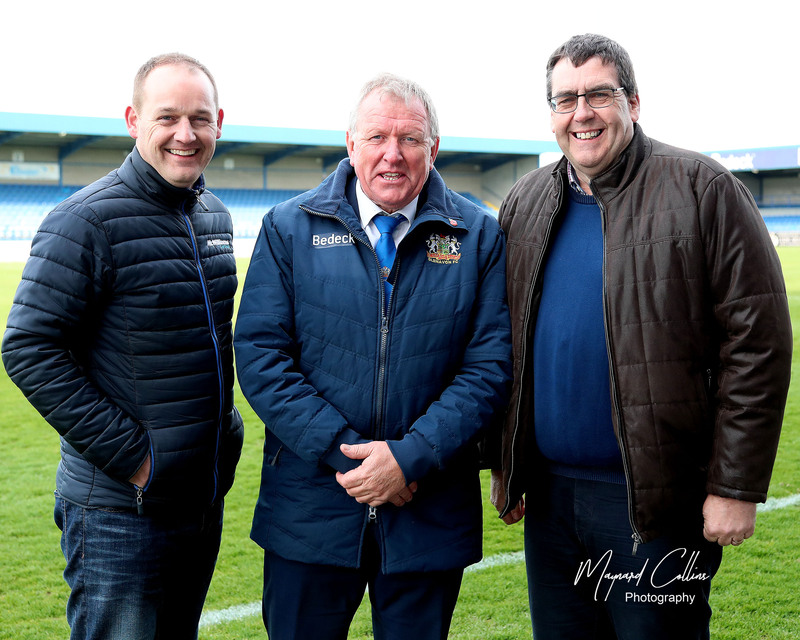 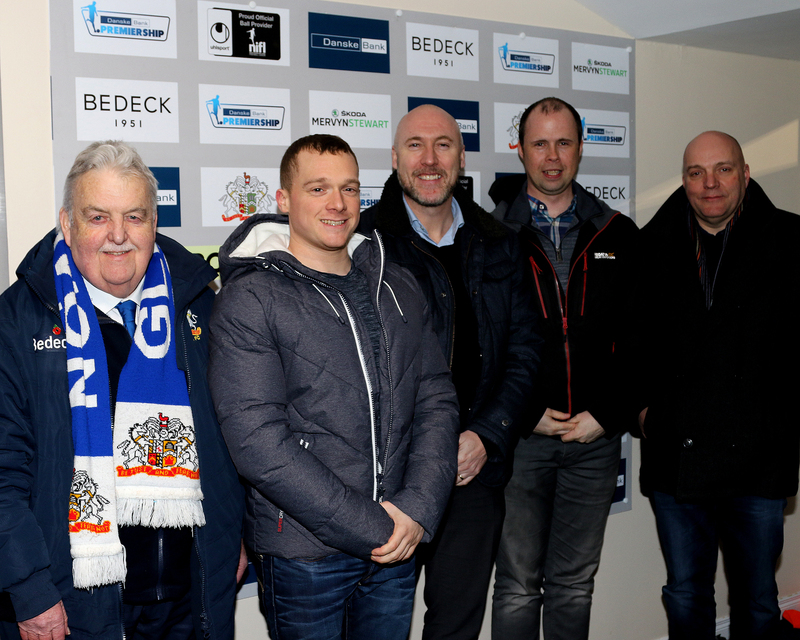 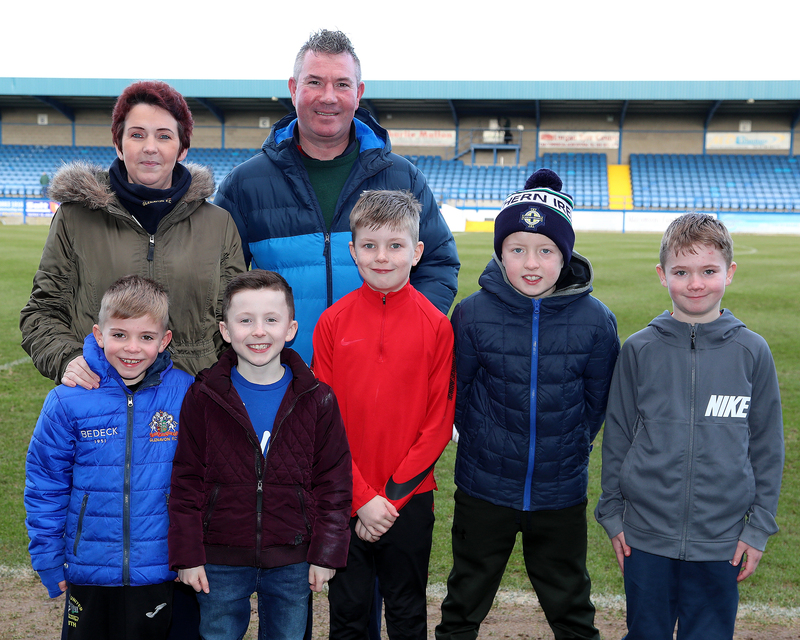 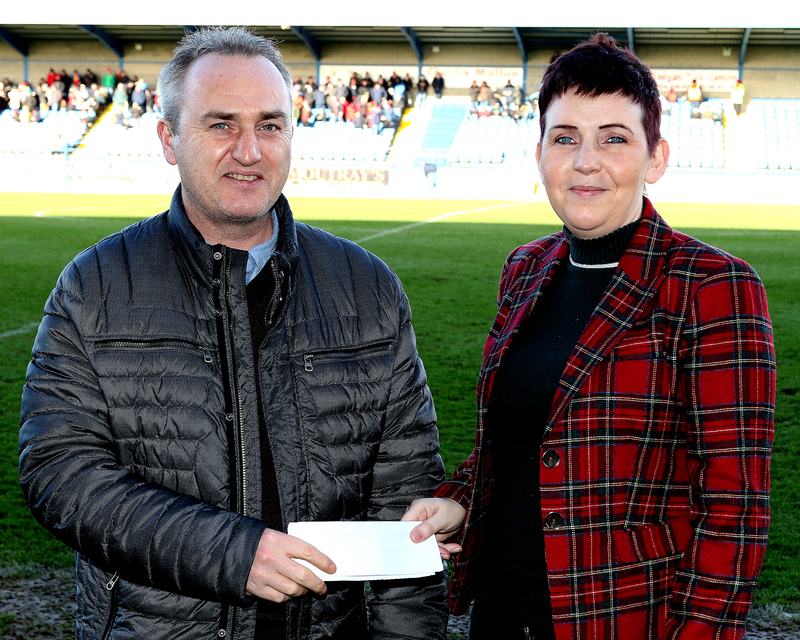 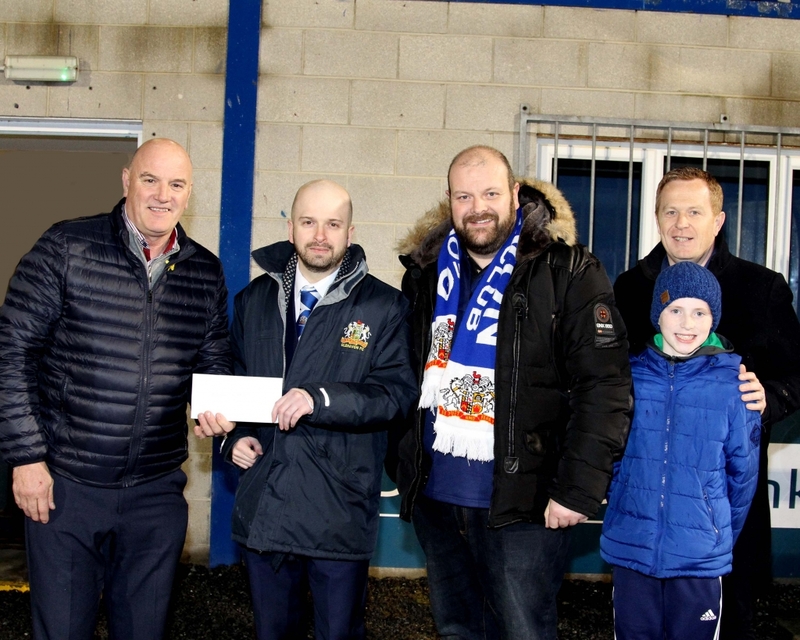 We had joint Match Sponsors for Tuesday night’s Dankse Bank Premiership game against Linfield: Councillor Paul Rankin (who was represented by Councillor Mark Baxter) and the Lurgan Mechanics Institute. 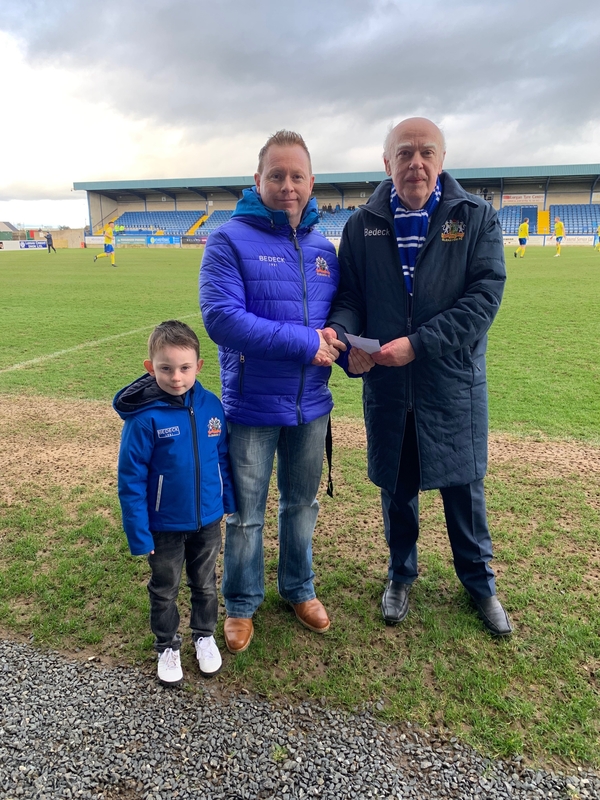 The ball was sponsored by the ‘Mysterious 2’ who obviously claimed anonymity 😉 and the Man of the Match Award was presented to Rhys Marshall by Jim Logan on behalf of Bluebell Cottage Moira. 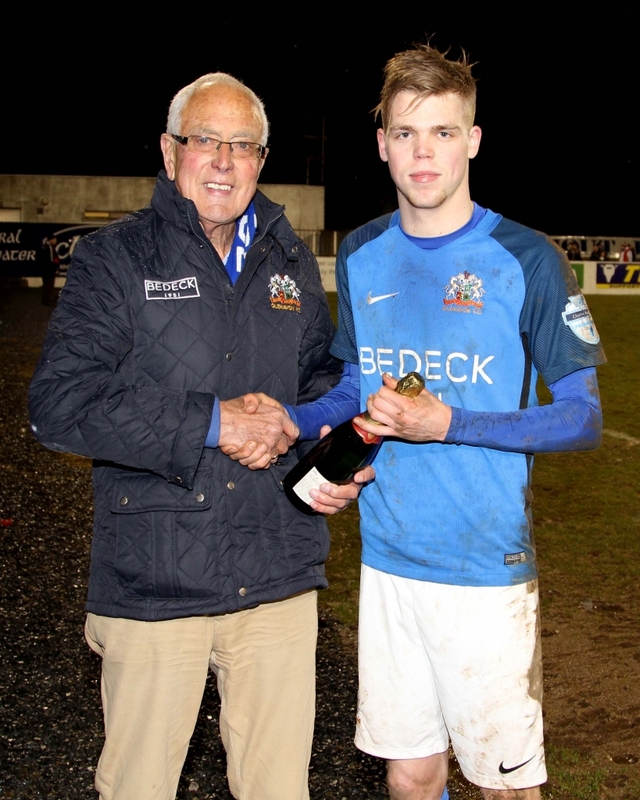 Thanks to you all on behalf of Glenavon FC.